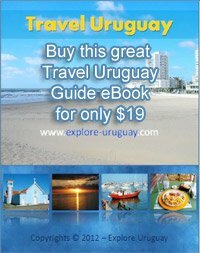 Do you want to Explore Uruguay? If so, then this website is for you! The first time I came to this wonderful country it was for a vaction and to relax. I spend time as any tourist would, sitting on the beaches of Punta del este, walking around the old city of Colonia del Sacramento and Fighting traffic in Montevideo. My time here was an exciting and fascinating time. I drove through much of this South American country including Salto, Lavalleja, Paysandu and Rocha. While looking for hotels and trying to find my way around the one thing I didn’t have was a good English Travel guide for this South American country. How handy would that have been I thought. Then i got the idea. Why don't I make one myself and help other people who want to discover this amazing country and help them find their way around. So, I picked up some maps and began to visit a lot of cities. I went to festivals and spoke with lots of locals. I also took some time to look at real estate. During several trips here, I have had a chance to participate in lots of activities and take pictures of many of the interesting a attractions. So, if you are looking for adventure, relaxation, a holiday or simply want to discover a new country that has very much to offer any type of lifestyle then grab a coffee, get comfortable and come explore the Gem of South America with me. This small, South American nation has long been regarded as a local treasure by natives. Today more people from countries around the globe are finally discovering the unique adventures that make a vacation to this Latin American country an unforgettable experience. Brazil, Chile and Argentina all are popular tourist destinations and their close proximity means that you can easily add a vacation here to your itinerary. While many people choose to make it their primary destination it is quite understandable why some use this thriving nation as a major hub for their vacation travels. The temperate climate means cool winters and warm summers. The summer months are when the tropic breezes of Brazil gently waft through the region. This is one of the most enjoyable seasons for people to travel here. Because there are no tall mountain ranges to form a barrier the country can sometimes undergo sudden weather changes. During the winter months the average temperature often ranges from 43-60 degrees F. Although these cooler months produce regular frost there is little likelihood of snow occurring. In addition to the stunning, beaches of Uruguay there are ranches, national forests, pristine rivers and rolling hillsides just waiting for you to discover them. This beautiful South American Country is home to fewer than 4 million year round inhabitants which means that you can visit even during those peak summer months and still not feel cramped and crowded as you stroll about town. There are so many cities, landmarks and special places to discover that it can be difficult to determine where you should begin. You may find that this vacation experience is so intense you will need to stay over a few days just to take in the sights that you have already selected. There are places such as Colonia del Sacramento, Punta del Este and Montevideo that you will surely want to include in your next holiday package. 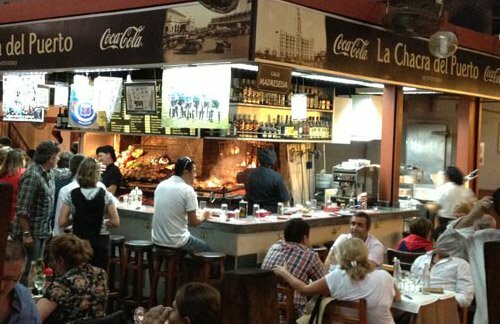 These cities of Uruguay are tourist favorites and you can expect to have a wonderful time as you visit world class beaches, shop along the Promenade or dine out at some of the country’s many world class restaurants. If you want to experience the wilder, more exotic countryside you may wish to set sail for towns such as Maldonado or Punta del Diablo. One of the lesser known jewels you can find as you visit South America is the lovely Atlantida. This is a beach area that is recognized as the principal swimming site in the Department of Canelones. It is located just a short drive from the sprawling shoreline of Montevideo and is well worth the drive. This is a little off the beaten path which means that there will be fewer tourists wandering about. The streets and shores are bracketed by numerous pines and eucalyptus trees that add scenic beauty, interest, shade and fragrance to the surroundings. Foods and Restaurants - As you travel throughout the country you will certainly want to sample many of the local delicacies. Perhaps you will enjoy a bowl of hearty buseca for lunch or dinner. This rich stew is a favorite of the native people of this country. You will also find that pasta dishes are extremely popular as you explore Uruguay. Due to a heavy influence from early Italian settlers pasta is a constant offering on the menus at almost any restaurant that you will dine at. You must be sure to try the Caruso Sauce which is an authentic Uruguayan creation. This pasta sauce contains meats, onions, ham, mushrooms and a heavy infusion of double cream. Empanadas are small packets of meat, cheese or vegetables that are cooked in a breaded wrapper. These can be bought on the street and carried with you to enjoy as a snack as you stroll about the town. Another very popular dish to discover as you are exploring is the morcilla dulce which is a sausage that is flavored with walnuts, orange pulp and freshly grated orange peel. The chivito plato is another rich sandwich that could easily serve as a meal for 2 people. There is also a dish known as a parrillada which is a platter of meat created from savory, spiced beef that is grilled over hot coals. Whichever of these you choose you will be delighted with the flavors because this countries beef has become a symbol of excellence in the market place. The spicy, refreshing mate is one of the most common drinks that you will find here. People also enjoy medio y medio, teas, fruit juices and clerico which a mix of fresh fruit juice and white wine. Quickly becoming famous for its vineyards, there are always a number of delicious wines to sample including Don Pascal which is one of the most well known wines in the area. Of course there are a number of sweets to discover as you tempt your palate while living life on your own terms. For instance there is a chaja which is a lush sponge cake filled with heavy cream and sweet, fruity jams and is said to come from Paysandu. The Dulce de Leche pastry filling is unique to this country and cooks are glad for any occasion to include it in a Favourite food recipes. A shortbread cookie known as alfajores is another popular treat. Then there is the traditional dessert known as milhojas. This delicate pastry concoction is created with multiple layers of thin, airy dough sandwiched between layers of cream and jam. In fact the word milhojas means “1000 layers”. Centenario Stadium is a big draw among locals as well as tourists who are fervent in their support of local soccer teams. Having won Olympic gold in the early 20th century when they sent their team to compete in Europe. This beautiful vacation destination is very proud of its multiple FIFA World Cup titles, being only one of 5 countries that has won this coveted trophy more than once. This small nation is a member of the CONMEBOL and the national team has now won the Copa America event on 14 separate occasions. When you plan your vacation here you really can have it all. You can relax on the sparkling sands of a world class beach, dance until dawn to a South American samba beat or simply be amazed at the scenic wonders contained in the national parks and forests. Visit the sculpted hand that juts forth from the sands in Punta del Este or try your hand at surfing. There are even large working cattle ranches and a vast number of quaint little villages steeped in tradition and old world charm that you will be able to see during your travels. 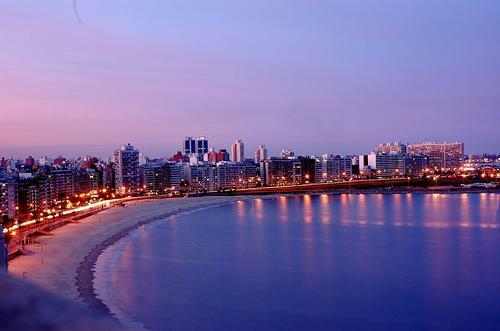 Yes, Uruguay is indeed a unique South American gem that is just waiting to be discovered.